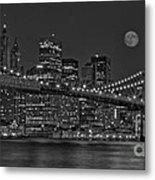 B/w with night light Wow It is one great workCongrats on your sale!!!! 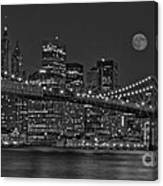 A multiple exposure wide view of the moon rising over the Brooklyn Bridge with a view of the New York City skyline. 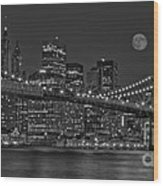 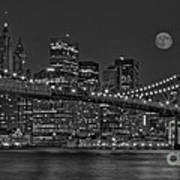 The evening lights of the NYC skyline and Bridges are reflected in the water in black and white.